I am a sign development in many cities, but to the city of Belagavi “Am I a curse”, No one wants to utilize me and even after being made after cutting through hard rocks from mother earth, now I lie utilized as a toilet. Visitors to the DC compound near the Underpass have to cover their mouth while passing by because of foul smell emanating from the underpass which is now converted into a toilet of sorts. 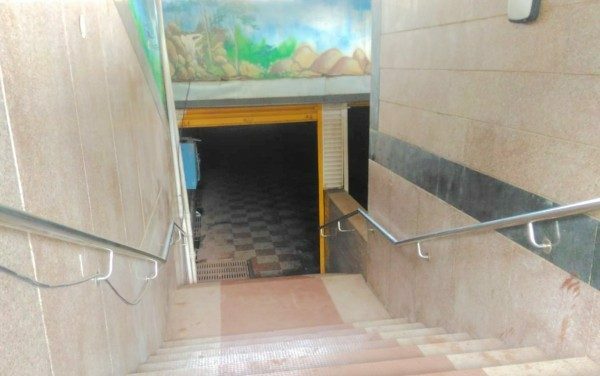 There were a few people who could be counted on fingers who used the said underpass but now even they have left coming that way due to the stink. The corporation hasn’t even bothered to clean it, maybe again the question of who will clean or under whose jurisdiction does that underpass come might be the reason. Over 1.5 crores were spent on the same and all have gone into the stinking toilet as of now. Intends users for this path had made strikes & road blocks, gave application to DC and demanded such a tunnel. The road was closed for nearly 8 months for its completion. So much money invested, all in vain. Why can’t the Police impose a fine on people crossing the road in stead of using the underpass? This may increase the use of the underpass and it will be maintained. Install CCTV within the underpass to detect and fine those who are abusing it. The amount collected as fine can be used to maintain the underpass and the surrounding areas. Even the DC’s Office Complex is a total mess. There is no regulated parking and people are seen sitting any where and every where. There are hawkers everywhere who continue to litter the whole complex. If the DC can not clean up his own complex how can we expect him to keep our cities clean? What a waste of money! Collect the money from those idiots who wanted to have the underpass built and not use it, also make them to cleanup the garbage and the filthy mess collected in that trench ,which is very hazardous to health. citizens don’t have to put up with this kind of nonsense.